When do we most want coverage? During breakouts right? But that often poses a dilemma. As much as we want to conceal our imperfections, we often don't for fear of clogging our pores further and causing more acne. The Body Shop's new Tea Tree Flawless BB Cream addresses this problem by killing two birds with one stone: conceal while you heal. It's available in 2 universal shades ( a light and medium) that blends seamlessly into your skin. Best used with The Body Shop's full range of Tea Tree Oil products. Now down to the most talked about InstaBlur All-in-One 5 Action Perfector! What is InstaBlur? Basically it's an unscented make-up primer in a clear universal shade that minimizes the appearance of pores, and blemishes and replaces it with smooth, velvety skin. It reminds me a bit of liquid powder once applied. For those with dry skin, apply a moisturizer first. 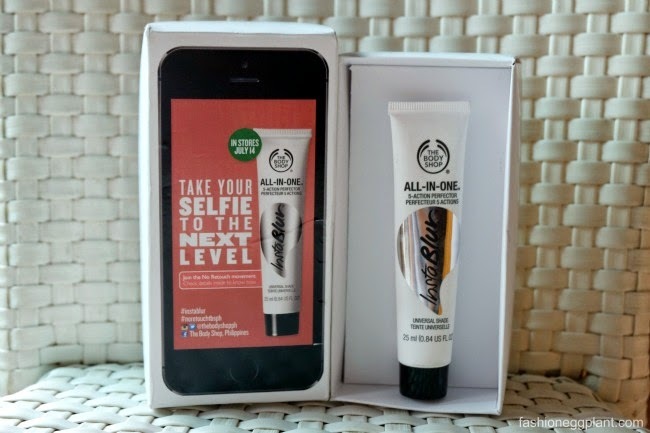 With InstaBlur, you can take flawless selfies without the help of photo editing apps! Look great not just in photos but also in person! Now we can enjoy young-looking, soft hands all the time with The Body Shop's new fruity hand creams which only retail for P200+. The hand creams are enriched with Shea Butter and come in stylish, travel sized tubes. The gel-cream formula is easily absorbed into the skin for a non-greasy feel. i love The Body Shop's Instablur. So easy to apply and it does give me a mattifying look which is very important for me since I have oily skin.